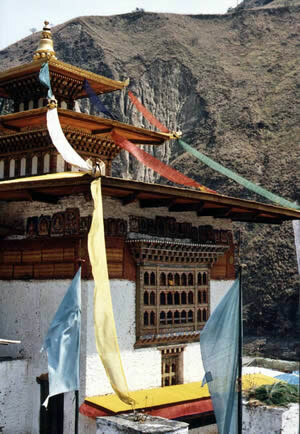 meditation caves, clinging to the mountainside near Paro, western Bhutan. 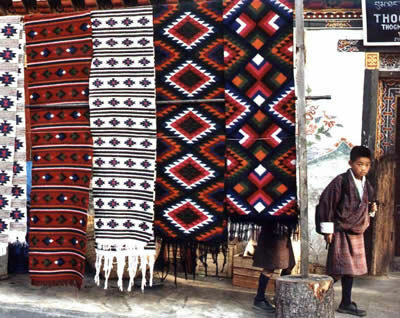 Traditional woven fabric patterns, central Bhutan. 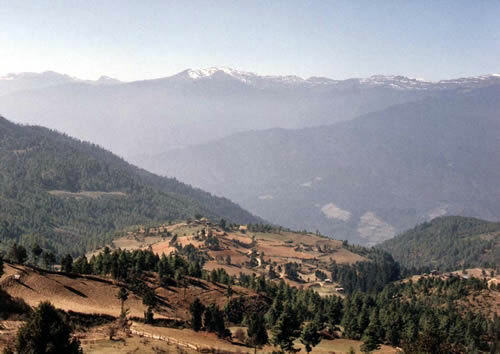 Valley in central Bhutan with eastern moutains in background. 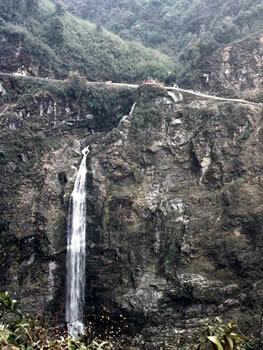 Waterfall beneath the tiny mountainside east-west road. 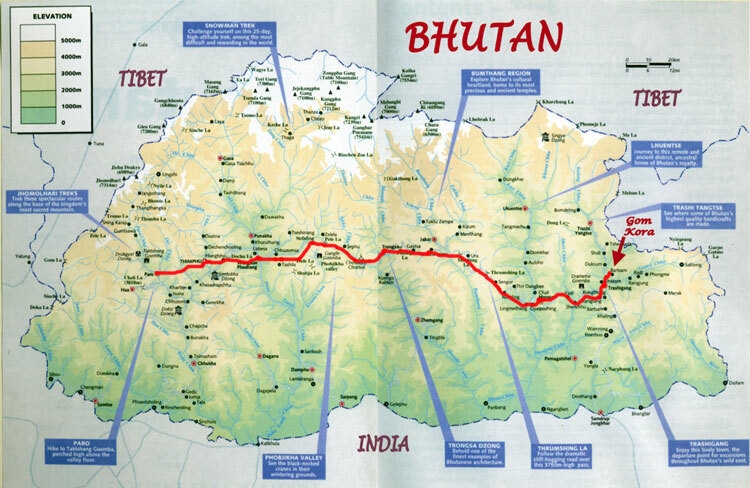 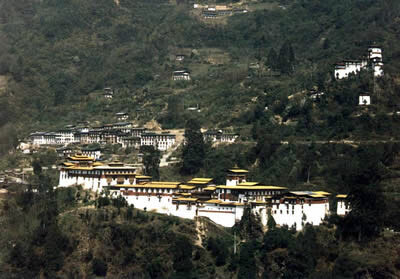 Gomphu Kora lhakang in the remote far east of Bhutan. 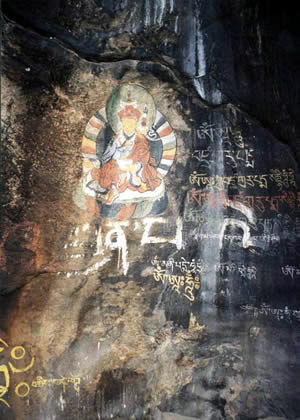 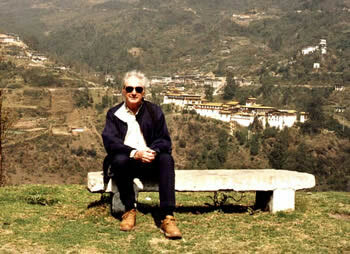 where Guru Rinpoche meditated, leaving a mark in the rock. 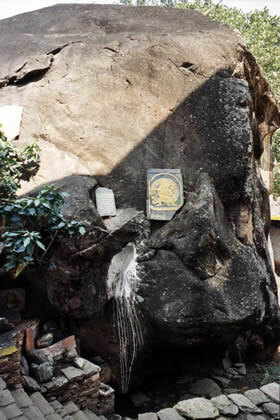 Slate tablets carved with gold embossed mantras on the rock behind Gomphu Kora (left). 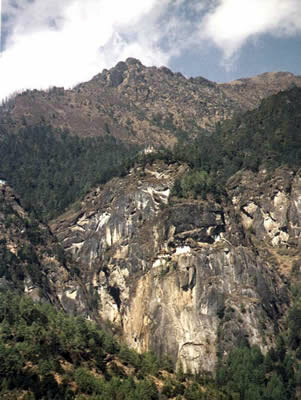 Another rock meditation site nearby with a body imprint (right).